Susan comes from a humble family in the rural Tawa area of Makueni County. Her parents are both peasant farmers, and Susan often has to devote most of her time to helping with farm work and attending to household chores, rather than focusing on her studies. Despite her difficult home situation, Susan is an outstanding student. 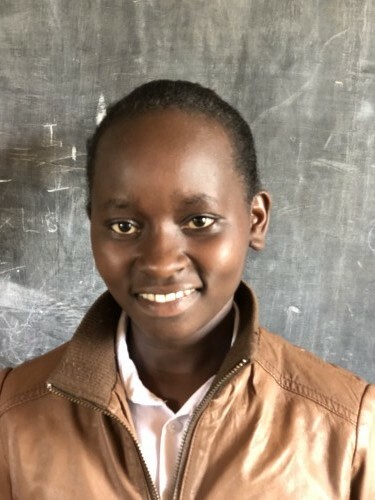 She earned an excellent grade on her KCPE which would have guaranteed her a spot at a good secondary school; unfortunately, her family was not able to meet the school fees, and Susan instead joined a day school to keep her education ongoing. Susan is now a form 1 student at this school, where she has been working hard and making good grades. Susan was elected to be the secretary of her school’s debate club because of her excellent public speaking skills and confidence. She loves playing volleyball and watching football games. She also enjoys reading her textbooks and novels. Susan needs a chance to explore her academic potential. She works very hard in the hopes of becoming a teacher in the future. She knows that the only way to improve her and her family’s future is for her to get her education, and never takes the opportunity to go to school for granted. Help this hardworking girl get the education she needs by sponsoring her today! Sponsoring Susan for secondary education is $75/month. Thank you for sponsoring Just One.